As you may very well remember, not too long ago we were featured in OK! 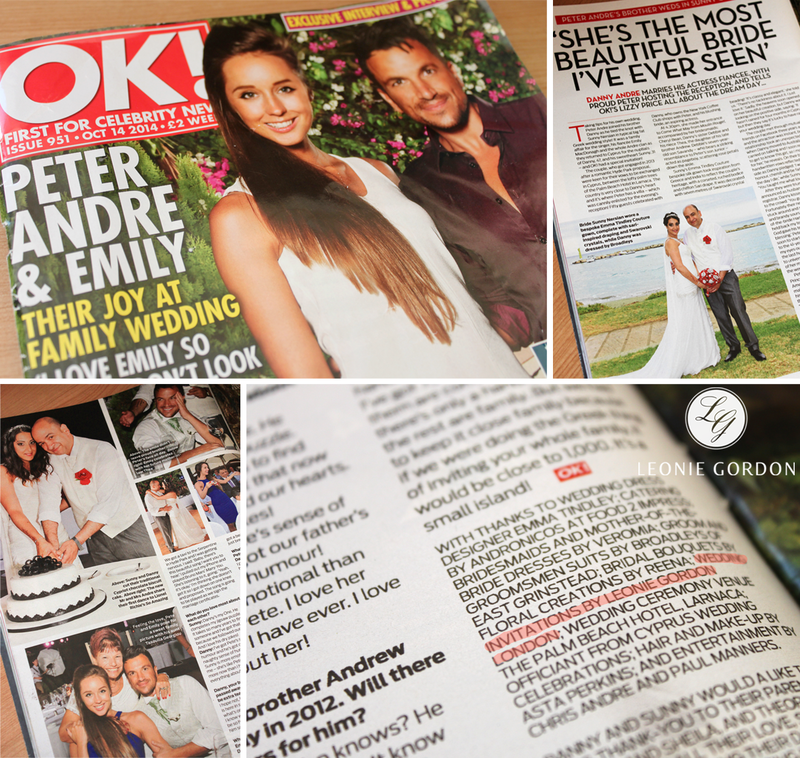 Magazine for designing these Engagement Invitations for Peter Andre’s brother Danny and his Fiancé Sunny Nersian. 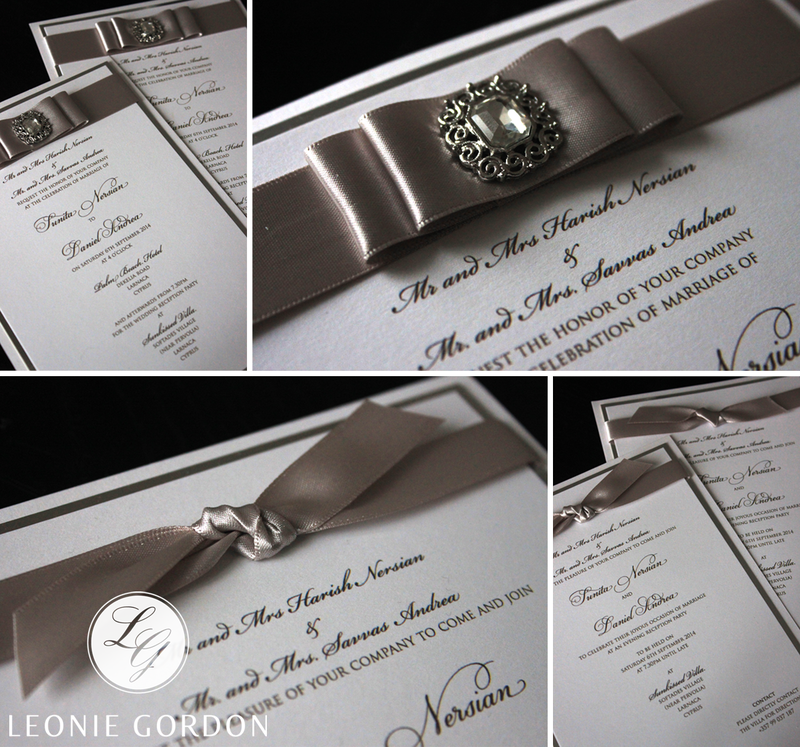 It was such a pleasure working with them and I think the sleek and elegant Invitations from my Romantica Collection suited their relationship perfectly. Sunny and Danny loved their Engagement Invitations so much that they asked us to create their Wedding Invitations as well! After keeping tight lipped about everything, we can now reveal that we have been featured in OK! Magazine once again! The happy couple were having an Indian Reception in the UK before heading over to Cyprus for a traditional ceremony, so they needed multiple and different Invitation designs – time to get busy! 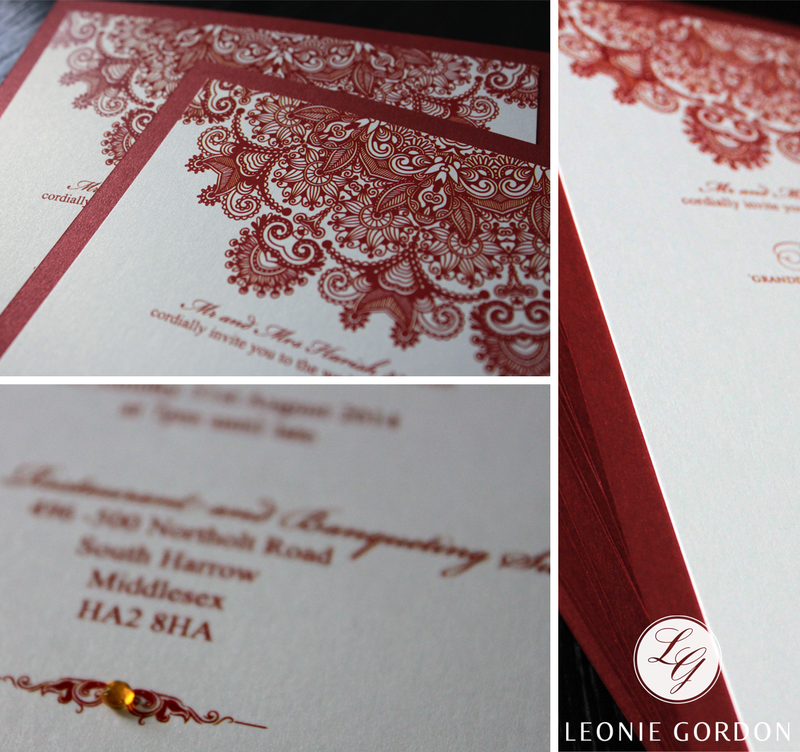 We decided to use a traditional Indian Pattern as the main focus of the Invitation and used a deep red for the text and backing card to really make them ‘pop’. Finished off with a delicate Diamante, these Invitations were ready to be opened by lucky guests. Still wanting to stick with a classic and elegant design for the Wedding Invitation, we came up with a Bespoke design that could easily be translated to both the Day and Evening Invitations. 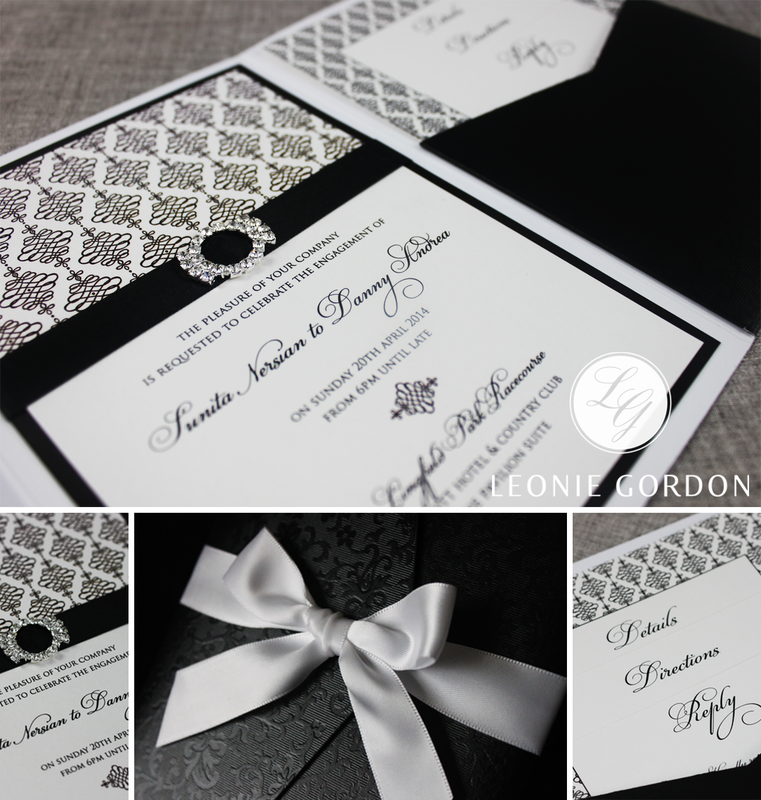 We used a stylish combination of Silver, White and Grey for both designs but added a gorgeous Diamante Embellishment for the Day Invitations for that added sparkle. It was such a pleasure to be involved in Sunny and Danny’s special day – I wish you both nothing but love and happiness!